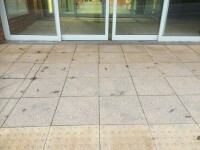 You are on Getting To (Ingham Ward). Skip to the next section. 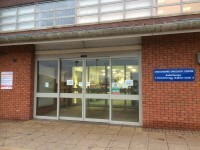 Ingham Ward is/are located in the Oncology and Radiotherapy Centre. 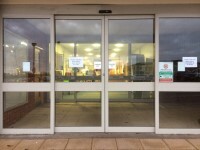 Access to Ingham Ward is via the Oncology and Radiotherapy Centre entrance. 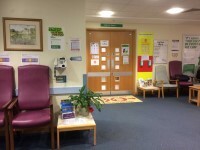 Enter via the Oncology and Radiotherapy Centre entrance and the ward is located to the left of the waiting area. 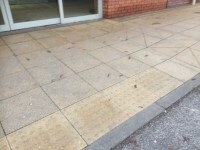 There is step free access to Ingham Ward. 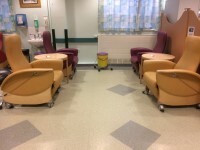 Ingham Ward is approximately 7m from the Oncology and Radiotherapy Centre entrance. 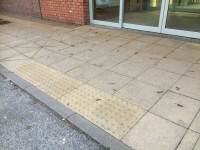 Wayfinding signage is not provided. 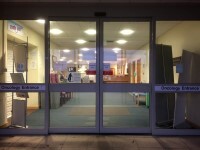 You are on Outside Access (Oncology and Radiotherapy Centre Entrance). Skip to the next section. The times provided are ward hours. 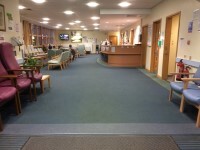 There are no visiting hours for this ward. 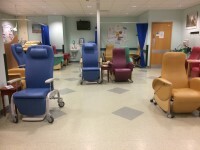 This is a/an chemotherapy ward. 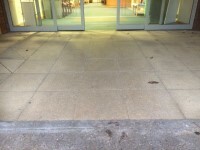 There is/are 1 bay(s) available. There is no clear signage on the ward. 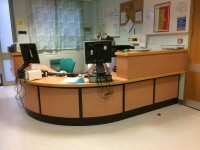 The height of the Nurses' Station desk is 114cm. 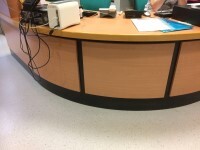 The height of the lowered section of the desk is 73cm. The ward does play background music. 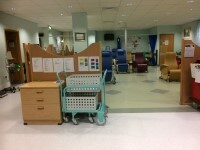 A mobile hoist is not available on the ward. 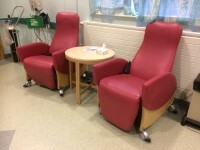 Accessible toilet facilities for visitors are located in the Oncology and Radiotherapy Centre main waiting area. 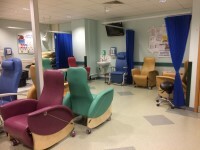 Standard toilet facilities for visitors are located on Level 1 of the main hospital building in the corridor next to Navenby Ward. 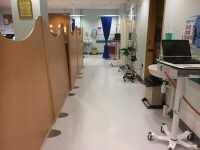 When the ward is in use there is not ample room for wheelchair users to manoeuvre due to the equipment required for treatments. 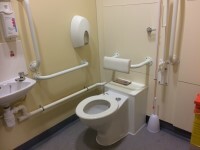 This accessible toilet is located on the left hand side of the ward. 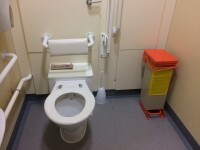 This accessible toilet is approximately 6m (6yd 1ft) from the ward entrance. 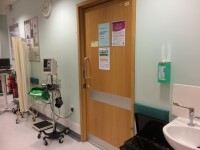 There is a female accessible toilet on the ward. 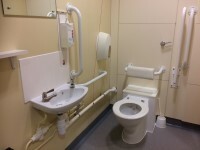 The dimensions of the accessible toilet are 148cm x 212cm (4ft 10in x 6ft 11in). 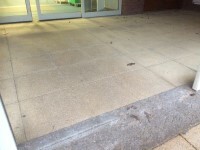 There is a/are general domestic waste and clinical waste disposal units. The shelf is higher than 100cm (3ft 3in). 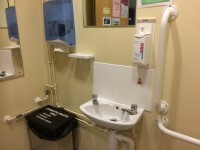 The height of the towel dispenser is 106cm (3ft 6in). 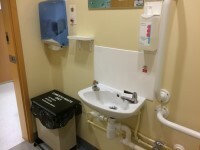 The height of the soap dispenser is 135cm. The contrast between the wall-mounted grab rails to the left of the toilet and wall is fair. 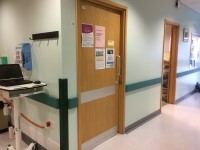 This accessible toilet is located in the rear left corridor of the ward. 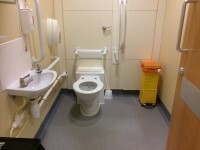 This accessible toilet is approximately 10m (10yd 2ft) from the ward entrance. 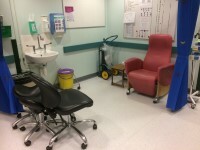 There is a male accessible toilet on the ward. 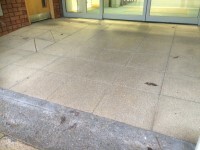 The dimensions of the accessible toilet are 209cm x 151cm (6ft 10in x 4ft 11in). 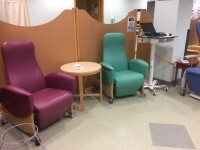 Oncology and Radiotherapy Centre link (new tab) - click here.